name and the timber species, no dates or messages. We need 200 bowls by late November to allow time for packaging and distribution. I look forward to your support with this project. 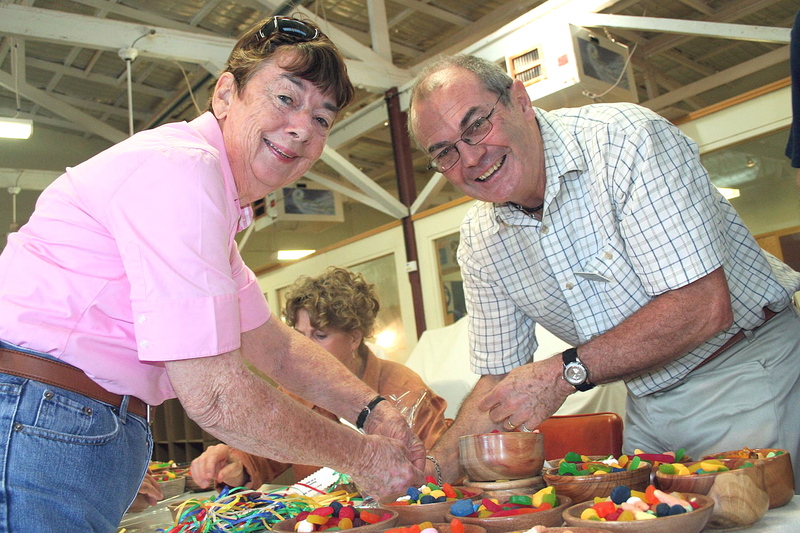 This photo shows our past Chairman Chris Medlicott and Loretta Corcoran packing lollies into bowls turned by members and these will be distributed to various Aged Care Facilities.